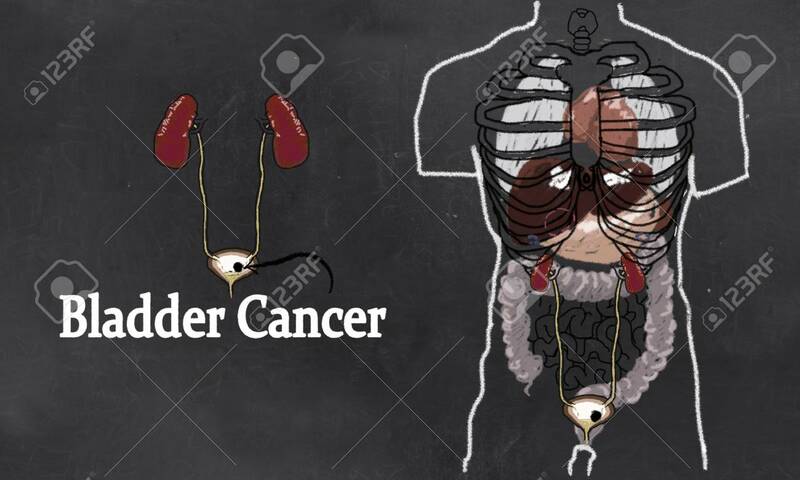 Bladder Cancer Anatomy Illustration With Urinary Tract System. Simple Drawing In Classic Style On Blackboard Lizenzfreie Fotos, Bilder Und Stock Fotografie. Image 109846572.